Enjoy Dine Out Boston from August 17-22 and August 24-29, 2014! 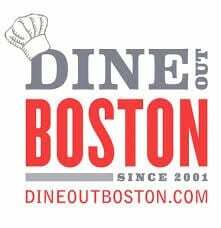 Dine Out Boston is coming soon for two weeks in August from 8/17/14-8/22/14 and 8/24-8/29/14. In previous years, Dine Out Boston was Restaurant Week Boston and has been rebranded for 2014. There are many participating restaurants throughout the city. Each participating restaurant picks one of three price options. Lunch prices are $15, $20 and $25 and Dinner prices are $28, $33, $38. Prices are per person and do not include beverages, tax or gratuity. To find participating restaurants and/or to check out restaurant menus, please head here and head here to get all your questions answered. Also, American Express Cardmembers who enroll their eligible American Express Card will be eligible for a $5 statement credit when they spend $21 or more at a participating restaurant during Dine Out Boston. Card registration and more information available here.